It’s frozen sweet treat season. And not-so-coincidently, strawberry season, too. Delicious times ahead! With this recipe, I wanted to create a blended something-or-another that I’d need to eat with a spoon so that it felt like a legit dessert. And I call it “soft serve” because the result is more along those lines than, say, ice cream (which is thicker) or a smoothie (which would call for a straw). These ingredients blend up nice and thick, and once you stir in some chopped strawberries, it definitely becomes something you’ll need to hit up the utensils drawer for before you dig in. 1. Chop two or three strawberries into small pieces. Set aside. 2. 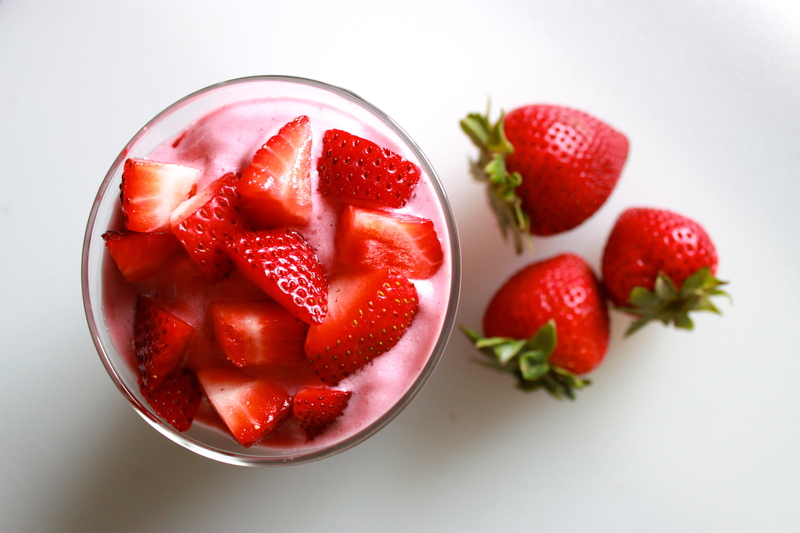 Add all ingredients to a blender except the milk and chopped strawberries. Once the blender gets going, add milk a little at a time until ingredients are able to process smoothly. HINT: Use as little milk as possible to keep the soft serve as thick as possible. 3. 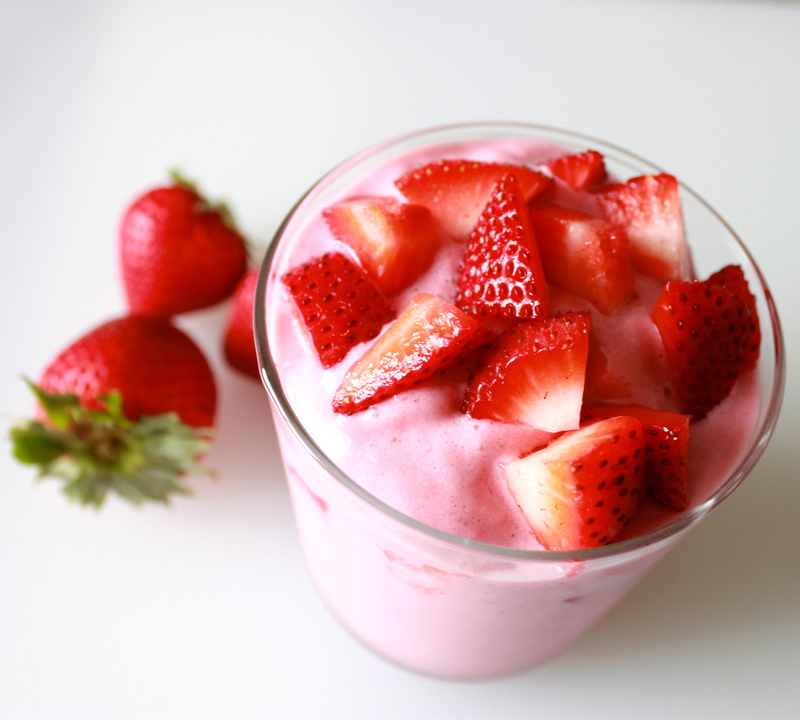 Pour soft serve into a serving dish and stir in chopped strawberries. Time to grab a spoon!